A secondary rhinoplasty is nose surgery that aims to restore the aesthetics and function of a nose which has already been operated on, the result of which is insufficient (failed rhinoplasty). What is the difference between a rhinoplasty retouch and a secondary rhinoplasty? 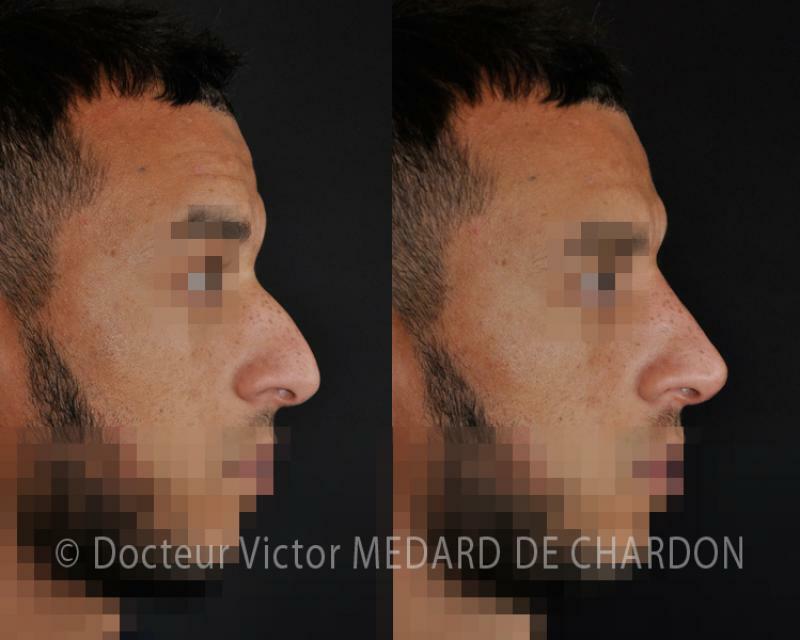 What is the necessary delay between the first rhinoplasty and the secondary rhinoplasty? A secondary rhinoplasty can only be performed one year after the first procedure. Retouching a primary rhinoplasty can be performed from 6 months after the procedure. 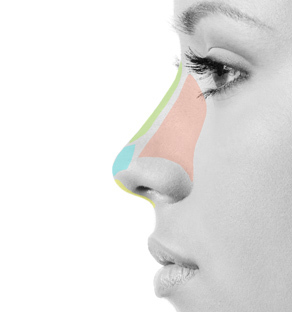 What are the functional complications of a rhinoplasty? What are the imperfections in the aesthetic result of a rhinoplasty? Good planning of the rhinoplasty is just as important as precision when operating. It is necessary to obtain the surgical reports from the previous procedures. A clinical-aesthetic and functional analysis is performed. A photographic projection of the new nose is established in 2D and 3D. The incision is usually external at the columella that is furthest from the interior of the nose (rhinoplasty by external incision). A final analysis of the cartilaginous structure is performed. Augmentation graft of the projection of the dorsum or the nasal root, notably by DCF (Diced Cartilage – Fascia graft). Spreader grafts or spreader flaps to treat an internal nasal valve syndrome. If necessary, a profiloplasty using chin surgery (osseous genioplasty), chin implant or remodelling of the forehead is performed.